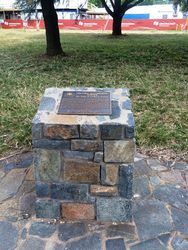 An Historic Engineering Plaque commemorates the planting of trees in Canberra for the beautification of the national capital. 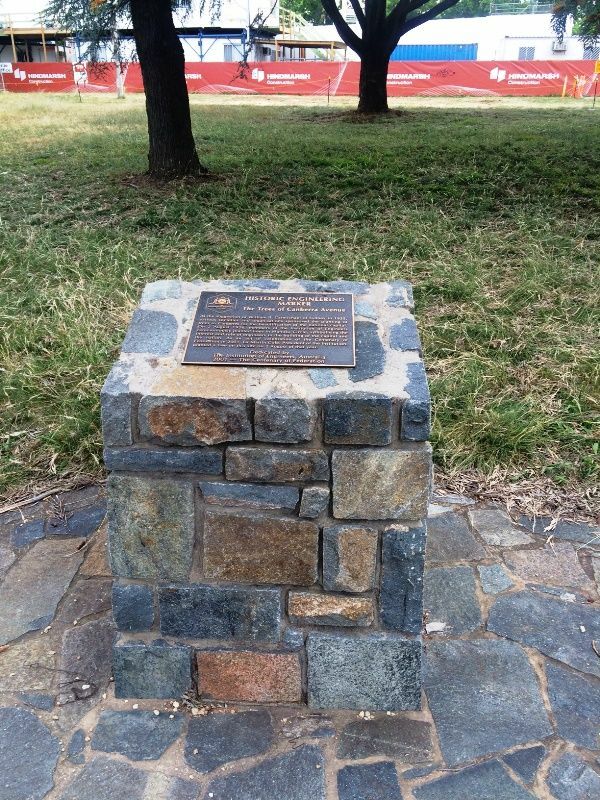 At the suggestion of William B. Carmichael of Sydney in 1925, various societies and organisations sponsored the planting of trees in Canberra for the beautification of the national capital. 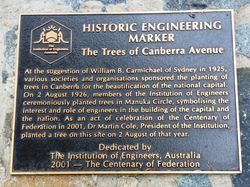 On 2 August 1926, members of the Institution of Engineers ceremoniously planted trees in Manuka Circle, symbolising the interest and role of engineers in the building of the capital and the nation. 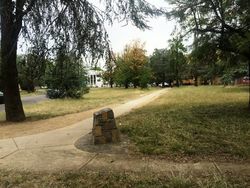 As an act of celebration of the Centenary of Federation in 2001, Dr Martin Cole, President of the Institution, planted a tree on this site on 2 August of that year.